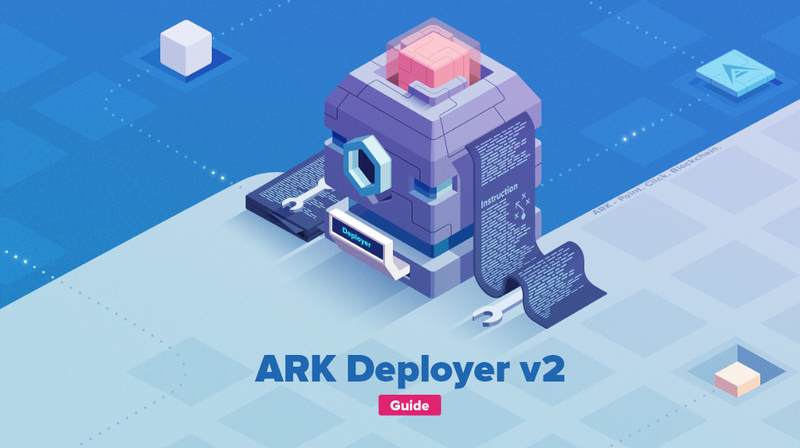 With the much-anticipated Deployer v2 arrival, we made sure to accompany the release with a full guide. This guide outlines the setup of a new Bridgechain, setting up a multi-node network, and also adding a new Bridgechain to the ARK Desktop Wallet. A fresh Ubuntu 18 machine (or VirtualBox with Vagrant). Basic knowledge of system administration, command-line, and bash. This guide is written based on a specific set of configurations that we have used. Yours will differ, more-so in terms of settings for your Bridgechain and IP addresses for your nodes. Install your new Bridgechain (with Vagrant) — follow this very small section for setting it up with Vagrant then skip to section: Adding the Bridgechain to your Desktop Wallet. Install your new Bridgechain (without Vagrant) — follow from this section onwards if you want to set up core manually and have a better understanding of the installation steps. We have provided a Vagrant file which allows you to deploy your own Bridgechain and Explorer together with no configuration necessary. All IPs when referencing Core and Explorer from the Vagrant machine will use 192.168.33.10. Note: This requires Vagrant version 2+ to be installed from here, and also VirtualBox from here. Used to start a Vagrant machine. If the Vagrant machine already exists, it will resume as normal. If the Vagrant machine does not exist already, it will start it up and proceed to install Deployer, Core and Explorer.